We have been busy doing lots of rainbow and color activities lately. 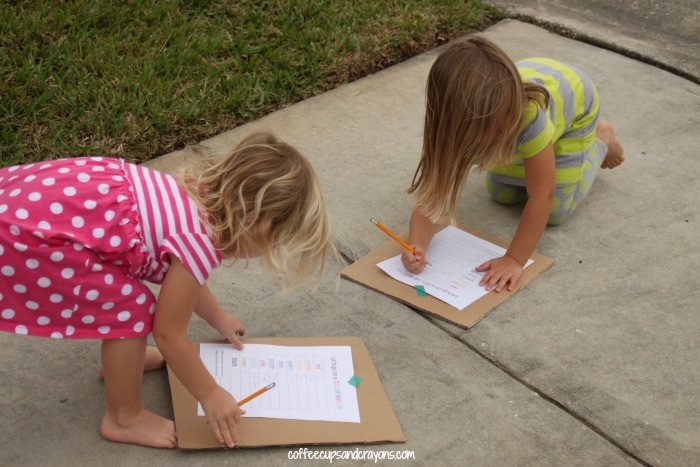 One of our favorites is a color scavenger hunt! It’s one of those activities that gets kids moving outdoors with very little prep so is perfect to do anytime. It’s also fun for kids of all ages to do so a great one to pull out with multi-age groups! I printed copies of the color scavenger hunt printable and taped them to cardboard pieces with washi tape. Clipboards or even a hard cover book would work too. 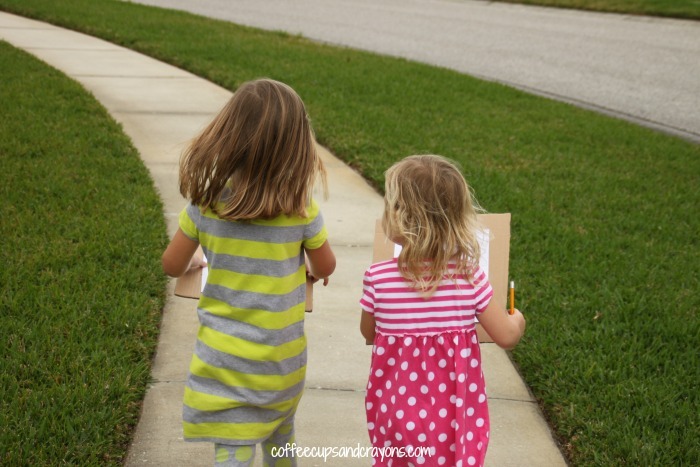 Then we went outside to find some colors! The girls checked them off as we found them. They can’t read the color words yet so I typed each word is in its corresponding color. 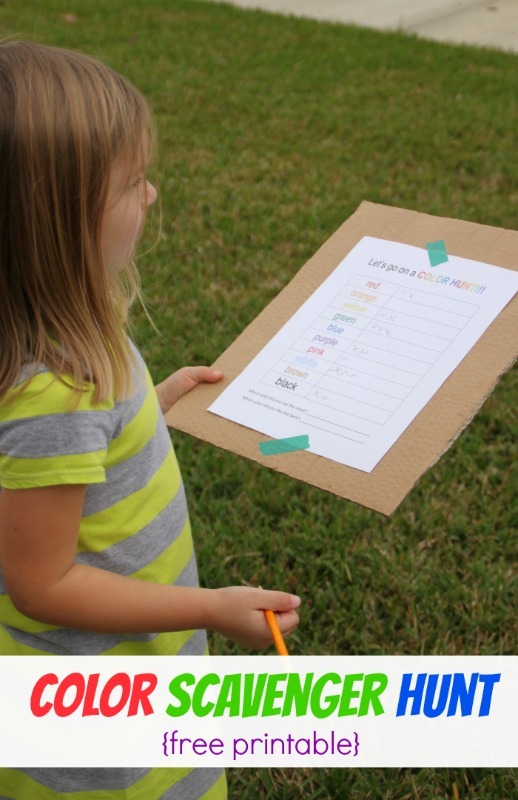 You can print them out in black and white if you have older kids who are practicing reading color words. After they were done we counted how many of each color they saw and answered the questions at the bottom of the printable. Then the girls played again! So much fun! Love this idea!! And, such a great printable, too! YAY!!!! Thank you so much Deb!!! !